NYC facial plastic surgery specialist Dr. Konstantin Vasyukevich confirms the results of the recent study and explains how facelift techniques affect results. 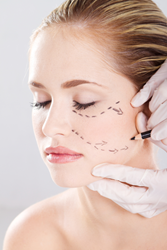 An NYC facial plastic surgery specialist, Dr. Konstantin Vasyukevich, says a recent study of incision techniques shows the importance of a comprehensive approach. Dr. Konstantin Vasyukevich (http://www.facialartistrymd.com), a New York City facial plastic surgery specialist, says a study comparing the effectiveness of 2 different facelift incision techniques validates the importance of a comprehensive approach to facelift surgery. Researchers who conducted the study, published in the June issue of Plastic and Reconstructive Surgery, followed sets of identical twins who had 2 different types of facelift incisions. In each pair, one of the twins underwent what's called a short-scar facelift, while the other twin had a full-incision facelift. "Many different techniques can be used to perform a facelift," Dr. Konstantin says. "Patients at my New York practice often ask what I consider to be the 'best' technique, and I tell them: the one that works best for their specific concerns, both short and long term." The researchers followed up with the study participants 1 year after their surgeries, and again at 5 years. They found little difference in the short-term results. But after 5 years, they concluded that the full-incision facelifts produced significantly better results in the appearance of the neck than the short-scar technique. "Although a shorter incision is appealing to the patient and surgeon," the researchers wrote, "this study suggests that the full incision may offer a superior long-term result in the neck." Dr. Konstantin says the results reinforce the importance of choosing a plastic surgeon with the versatility and experience to customize facelift techniques to address specific concerns, such as loose neck skin, excessive fullness in the chin, and the appearance of jowls. "It's important to understand that the days of a one-size-fits-all facelift are long gone, " Dr. Vasyukevich says. "My colleagues and I have worked hard to develop techniques that produce comprehensive, lasting results for a wide range of different facial aging concerns." The facial plastic surgeon says New York patients often know someone who has had positive results from a facelift. Once they learn about that person's procedure, they often come in for a consultation wanting the same technique. But, he says, a technique that worked well for someone else may not be appropriate for another patient. "A good facelift surgeon will assess a person’s face and take into consideration multiple factors," Dr. Konstantin says. "It’s not just about the preference for a certain type of incision, it’s about what will work best for the individual patient, and achieve the most satisfying result." Dr. Konstantin Vasyukevich (http://www.facialartistrymd.com) is a board-certified facial plastic surgeon who combines a refined sense of aesthetics with surgical expertise to produce artful results. He is one of the leading facial plastic surgery specialists in New York City, and patients travel to his exquisite Manhattan practice for procedures including facelifts, brow lifts, eyelid surgery, and cosmetic injectable treatments such as BOTOX® Cosmetic and dermal fillers. Dr. Konstantin completed a facial plastic and reconstructive surgery fellowship at Mount Sinai Medical Center in New York after finishing an otolaryngology - head and neck surgery residency at Montefiore Medical Center. He earned his medical degree from Stony Brook School of Medicine in New York after obtaining undergraduate and graduate degrees from St. John's University.